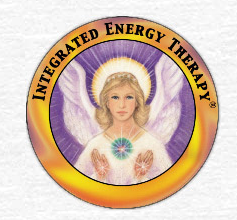 IET was created by Stevan J. Thayer, a Reiki Master Practitioner, who observed that some blockages couldn't be cleared by the Reiki alone. By divine inspiration, he was able to create the IET cellular memory map and the IET integrating points, which are not identified as the traditional acupressure system. ​ Energy flows the same way as the blood in our veins. Meridians are the main veins in the human energy field. If for some reason the veins in our energy field are blocked by physical-trauma, surgery, disease, exhaustion, starvation, emotional crisis, suppressed feelings, stress, fear, self-limiting thoughts, beliefs, and karma, the body feels tired, depleted, without motivation and out of balance. ​ The session is done at a massage table, with client fully dressed in a relaxing and calm environment.